FastReport has released the latest version of FastReport FMX for Delphi XE5 Firemonkey on Windows and OSX. FastReport FMX is a full featured reporting component suite which includes a band oriented report generator, code based reports, multi page and multi template reports, tabular reports with complex structures, dialogue forms, drill down reports, and an internal interpreter with four programming languages supported. You can pull data for your report from a database or from a user’s data. Designing reports is very easy to do with the visual report designer which has shapes, charts, lines, tables, flags, pictures, gradients, cross tabs, and bar codes. 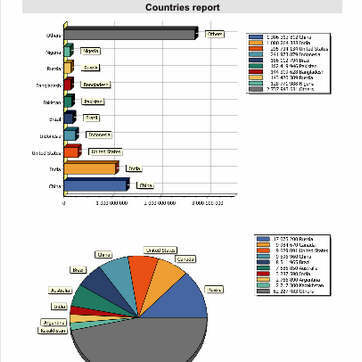 You can output reports a printer or export them as a PDF, JPEG, PNG, HTML, CSV, and other formats. If you are looking for a reporting component for Firemonkey be sure to try this out as it is a commercial component and there is a free trial. Head over and download the free trial of FastReport FMX and start building reports.